Draw by dead position. A king and one bishop versus a king cannot create a checkmate on either player. In chess, a draw is the result of a game ending in a tie. Usually, in tournaments a draw is worth a half point to each player, while a win is worth one point to the victor and none to the loser. For the most part, a draw occurs when it appears that neither side will win. Draws are codified by various rules of chess including stalemate (when the player to move is not in check but has no legal move), threefold repetition (when the same position occurs three times with the same player to move), and the fifty-move rule (when the last fifty successive moves made by both players contain no capture or pawn move). Under the standard FIDE rules, a draw also occurs "in dead position", when no sequence of legal moves can lead to checkmate, most commonly when neither player has sufficient material to checkmate the opponent. Unless specific tournament rules forbid it, players may agree to a draw at any time. Ethical considerations may make a draw uncustomary in situations where at least one player has a reasonable chance of winning. For example, a draw could be called after a move or two, but this would likely be thought unsporting. Until 1867, tournament games that were drawn were replayed. The Paris tournament of 1867 had so many drawn games to be replayed that it caused organisational problems. In 1868 the British Chess Association decided to award each player half a point instead of replaying the game (Sunnucks 1970:100). The rules allow for several types of draws: stalemate, threefold repetition of a position (with the same player to move), if there has been no capture or a pawn being moved in the last fifty moves, if checkmate is impossible, or if the players agree to a draw. In games played under time control, a draw may result under additional conditions (Schiller 2003:26–29). A stalemate is an automatic draw, as is a draw because of insufficient material to checkmate. A draw by threefold repetition or the fifty-move rule may be claimed by one of the players with the arbiter (normally using his score sheet), and claiming it is optional. A claim of a draw first counts as an offer of a draw, and the opponent may accept the draw without the arbiter examining the claim. Once a claim or draw offer has been made, it cannot be withdrawn. If the claim is verified or the draw offer accepted, the game is over. Otherwise, the offer or claim is nullified and the game continues; the draw offer is no longer in effect. An offer of a draw should be made after a player makes a move but before he presses his game clock. The other player also declines the offer if he makes a move, and the draw offer will no longer be in effect. The offer of a draw should be recorded by each player in their score sheet using the symbol (=) as per Appendix C.12 of FIDE Laws of Chess. Article 5 of the 2018 FIDE Laws of Chess gives the basic ways a game may end in a draw; more complicated ways are detailed in Article 9: (Schiller 2003:26–29). Stalemate – if the player on turn has no legal move but is not in check, this is stalemate and the game is automatically a draw. Threefold repetition – if an identical position has occurred at least three times during the course of the game with the same player to move each time, and is the current position on the board or will occur after the player on turn makes his move, the player on move may claim a draw (to the arbiter). In such a case the draw is not automatic - a player must claim it if he wants the draw. When the position will occur for the third time after the player's intended next move, he writes the move on his score sheet but does not make the move on the board and claims the draw. Article 9.2 states that a position is considered identical to another if the same player is on move, the same types of pieces of the same colors occupy the same squares, and the same moves are available to each player; in particular, each player has the same castling and en passant capturing rights. (A player may lose his right to castle; and an en passant capture is available only at the first opportunity.) If the claim is not made on the move in which the repetition occurs, the player forfeits the right to make the claim. Of course, the opportunity may present itself again. A similar rule was added in section 9.6 of the FIDE laws of chess on July 1, 2014. If the same position occurs for five consecutive moves by both players, the game is automatically a draw (i.e. a player does not have to claim it). The fifty-move rule – if in the previous 50 moves by each side, no pawn has moved and no capture has been made, a draw may be claimed by either player. Here again, the draw is not automatic and must be claimed if the player wants the draw. If the player whose turn it is to move has made only 49 such moves, he may write his next move on the scoresheet and claim a draw. As with the threefold repetition, the right to claim the draw is forfeited if it is not used on that move, but the opportunity may occur again. A similar rule was added in section 9.6 of the FIDE laws of chess on July 1, 2014. If no capture or no pawn move has occurred in the last 75 moves (by both players), the game is automatically a draw (i.e. a player does not have to claim it). If the last move was a checkmate, the checkmate stands. king and bishop versus king and bishop with the bishops on the same color. Mutual agreement – a player may offer a draw to his opponent at any stage of a game. If the opponent accepts, the game is a draw. It is popularly considered that perpetual check – where one player gives a series of checks from which the other player cannot escape – is a draw, but in fact there is no longer a specific rule for this in the laws of chess, because any perpetual check situation will eventually be claimable as a draw under the threefold repetition rule or by the fifty-move rule, or (more likely) by agreement (Hooper & Whyld 1992). By 1965 perpetual check was no longer in the official rules (Harkness 1967). Although these are the laws as laid down by FIDE and, as such, are used at almost all top-level tournaments, at lower levels different rules may operate, particularly with regard to rapid play finish provisions. Draw. No sequence of legal moves can lead to checkmate. In games played with a time control, there are other ways a draw can occur (Schiller 2003:29), (Just & Burg 2003). Possible checkmate positions for Black. If White runs out of time with one of these combinations of material, Black wins because of the possible checkmate. However, in a sudden death time control, if White can convince the arbiter before the time is up that Black is merely stalling to win on time, the game is nevertheless declared a draw. If only one player has exceeded the time limit, but the other player does not have (theoretically) sufficient mating material, the game is still a draw. Law 6.9 of the FIDE Laws of Chess states that: "If a player does not complete the prescribed number of moves in the allotted time, the game is lost by the player. However, the game is drawn if the position is such that the opponent cannot checkmate the player's king by any possible series of legal moves, even with the most unskilled counterplay." For example, a player who runs out of time with a sole king versus king and bishop does not lose the game. It is still possible to lose on time in positions where mate is extremely unlikely but not theoretically impossible, as with king and bishop versus king and knight. (Under USCF rules, king and bishop, king and knight, or king and 2 knights with no pawns on the board is not considered sufficient mating material, unless the opponent has a forced win, even though it's theoretically possible to mate (but extremely unlikely to happen) in situations such as K+B vs. K+N). Because of this last possibility, article 10 of the FIDE laws of chess states that when a player has less than two minutes left on their clock during a rapid play finish (the end of a game when all remaining moves must be completed within a limited amount of time), they may claim a draw if their opponent is not attempting to win the game by "normal means" or cannot win the game by "normal means". "Normal means" can be taken to mean the delivery of checkmate or the winning of material. In other words, a draw is claimable if the opponent is merely attempting to win on time, or cannot possibly win except on time. It is up to the arbiter to decide whether such a claim will be granted or not. In chess games played at the top level, a draw is the most common outcome of a game: of around 22,000 games published in The Week in Chess played between 1999 and 2002 by players with a FIDE Elo rating of 2500 or above, 55 percent were draws. According to chess analyst Jeff Sonas, although an upward draw rate trend can be observed in general master-level play since the beginning of the 20th century, it is currently "holding pretty steady around 50%, and is only increasing at a very slow rate". In top-level correspondence chess, the draw rate is much higher than in the over-the-board chess: of 1512 games played in the World Championship finals and the Candidates' sections between 2010 and 2013, 82.3% ended in a draw. In computer chess, the draw rate among top programs is typically between 50 and 60 percent. A "book draw" or a "theoretical draw" is a position that is known to result in a draw if both sides play optimally. A "positional draw" is an impasse other than stalemate, where a draw is salvaged despite a big material disadvantage (see fortress (chess)#Positional draw). A "grandmaster draw" is a game in which the players quickly agree to a draw after making little or no effort to win (see draw by agreement#Grandmaster draw). Andy Soltis discusses the vagueness of the terms "draw", "drawish", "drawable", "book draw", "easy draw", and "dead draw". In books and chess theory a position is considered to be a draw if best play leads to a draw – the difficulty of the defence is not taken into account. Soltis calls these positions "drawable". For instance, under that criterion the rook and bishop versus rook endgame is usually a theoretical draw or "book draw", but the side with the bishop often wins in practice. In this position from an actual game, the only move to draw is 124.Rf8! White actually played 124.Rd8?? and lost after 124...Re3, with the winning threat of 125...Bh3+ 126.Kg1 Re1# (Soltis 2010:12–13). ^ Sonas, Jeff (September 6, 2011). "Sonas: what exactly is the problem?". en.chesbase.com. Chessbase. Retrieved 2015-10-09. ^ Nickel, Arno (June 20, 2015). "Correspondence Chess – the draw problem". en.chessbase.com. 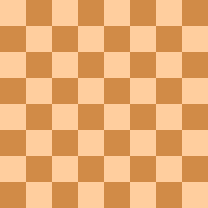 Chessbase. Retrieved 2015-10-09. ^ "CCRL 40/40". Computer Chess Ratings List. October 3, 2015. Retrieved 2015-10-09. ^ "CEGT 40/120". Chess Engines Grand Tournament. September 14, 2015. Retrieved 2015-10-09.